What are the first things that come to your mind when you think about what you want in a friend or in a life partner? Many people say they want in a partner is a good sense of humor (1). This was true for me, I fell in love with my husband because he makes me laugh– at myself, at challenging situations, and on a random Tuesday afternoon and I mean tears-streaming-down-my-face-my-stomach-hurts-laughing. But is this something we think of instilling in our children? *This post is part of the Raising Resilient Children series. Click over to find more tips on how to help children handle stress and challenge, manage anxiety and develop resiliency. It turns out that humor is a pretty good thing to look for in someone else. A great sense of humor indicates high emotional intelligence, cheerfulness, and is a key part of social competence (2,3,4). So when we say we want to have relationships with people who are funny, what we are really saying is that we want to have a relationship with someone who is socially and emotionally mature and competent. We want someone who will be able to weather the storms of life with us, help us to look on the bright side, to make us be able to laugh at ourselves and find a better perspective. These traits are hallmarks of resiliency, the ability to thrive even in the face of adversity. 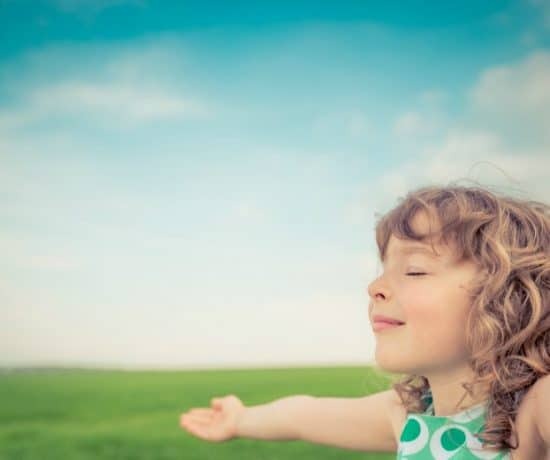 Resiliency is also an important trait in children. 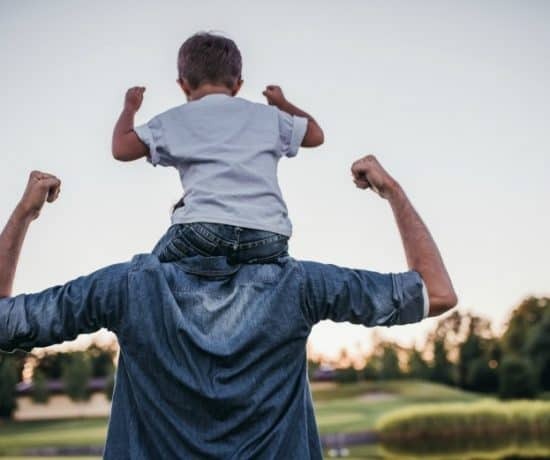 We cannot always protect our children from experiencing stress and distress, but we can help them to develop skills to be able to handle those moments well, grow in the face of challenge, and continue on, perhaps not untouched but hopefully undamaged. But how does humor help to do this and how can we help our children develop their own healthy sense of humor? Laughter and finding lightness in even the darkest situations has been found to promote health and emotional wellness. This is most likely because it helps to diffuse stress. The stress doesn’t go away, but the body and mind can take a moment to find relief, even in the midst of stress. Laughter itself is a great form of emotional release for children (and adults). Once a stressful or tense situation is resolved or found not to be threatening, laughter releases that tension (5). Do you remember the last time you thought you saw something scary and it turned out to be nothing? Your gasps turned into laughter as you felt relief. Or how about moments where you can laugh or you can cry? Like the last diaper blowout — poop on your face? That tense reaction you have turns to relief when you laugh about it. The physical act of laughter is similar to the effect on the body of exercise (6). Laughter reduces stress hormones and boosts the immune system. Some studies have even linked laughter to a reduced likelihood of heart attacks and better recovery from medical procedures. And there is even some evidence that laughter and humor may help children with cancer avoid infections(7). Laughter and humor predict emotional well-being. In an experimental study, people were assigned to one of three groups: a social group, a humor group, and a control group. Results showed that only those in the humor group showed significant increases in self-efficacy (belief in oneself), positive emotions, optimism, and perceptions of control. Those in the humor group also showed significant decreases in perceived stress, depression, anxiety and stress levels (8). 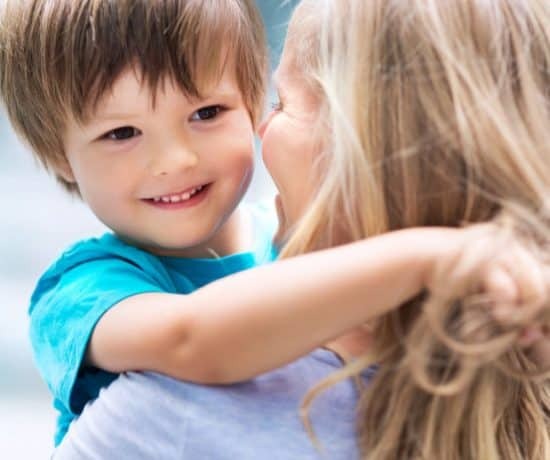 What’s funny (ha ha) is that even though we know humor is good for us and it’s a trait we look for in others, it isn’t often the first thing that comes to mind when we think of what we want for our kids– we want them to be happy, successful, kind, etc. But how often do we think “I want my child to be funny”? Maybe one reason for that is because we view humor to be an unchangeable trait. Either you are funny or you aren’t. This is, to a certain extent, true. There is good evidence that humor may be genetically inherited (3). However, there are also several studies which show that babies and children learn humor from their parents (9). In the end, it is probably both, humor is inherited and learned. As parents, we often focus on what we should do for our children and all of those “should dos” can sometimes seem like chores. But we also get to focus on the fun things and this is one of them! Laugh often and they will laugh with you. Be silly and they will be silly too. Tell jokes and they will tell jokes too. I think the best way to help your child build a healthy sense of humor is to try to make them laugh. They will return the favor, laughter will become a good habit and a sense of humor will bloom before your eyes! 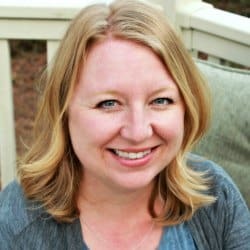 Here are my tips for helping your child build a great sense of humor. 6 to 12 or 15 Months of Age: Laughing at You! Nothing is funnier than Mom or Dad at this age. Games such as peek-a-boo with mom and dad have baby in giggles at this age. By the age of 1, babies stop looking to parents to see what is funny and instead rely on their own sense of humor. 15 months to 3, 4 or 5 years — Funny Things! It is hilariously funny to use objects differently at this age– try putting a hat on your foot or your shoe on your hand and watch them laugh. They will join right in and come up with jokes you never even thought of! At this age, putting things in unexpected places can also have your child laughing. How did teddy get in the fridge? Silly Teddy! Pretending something is heavy when it is light or something is surprising when it is not will make your children laugh. 2 to 3 or 4 years — Wrong Names! That’s not a shoe it’s a car! That’s not a car it’s a bus! This is the beginning of your child starting to play with words. Children find tongue twister hilarious at this age. I remember the first time I said “Peter Piper Picked a Peck of Pickled Peppers” to my three-year-old, he was bent over in peals of laughter. Making up words and rhyming is also funny to kids at this age. My son plays with words constantly this way and he thinks it’s hilarious! This is the beginning of adult-like humor! They understand that jokes have double meanings and during this period those nonsensical punch lines they used when they were younger will give way to meaningful (and funny) jokes. Children will begin using riddles and jokes as a way of initiating interactions with peers. Getting the joke becomes as much fun as telling the joke. At this age, brush up on your riddles and jokes and you’ll have them laughing all day! 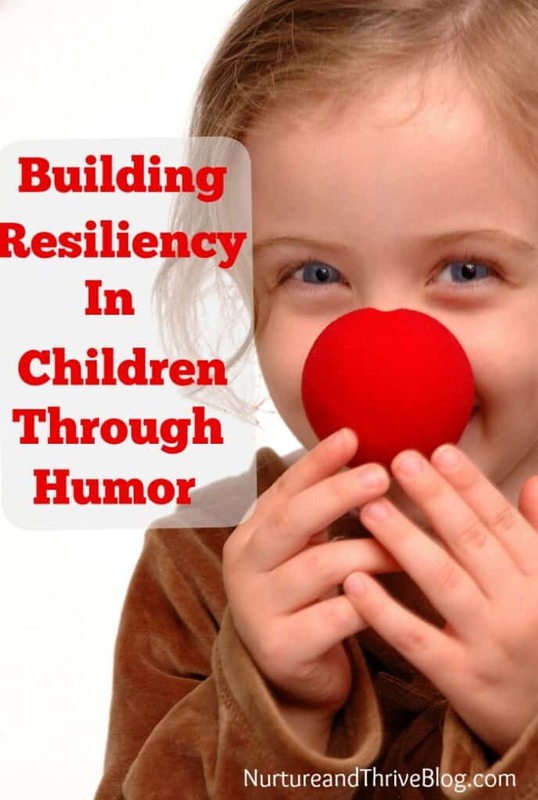 Humor is a great way for children to diffuse stress in their lives, but there are several other ways to build resilient children. 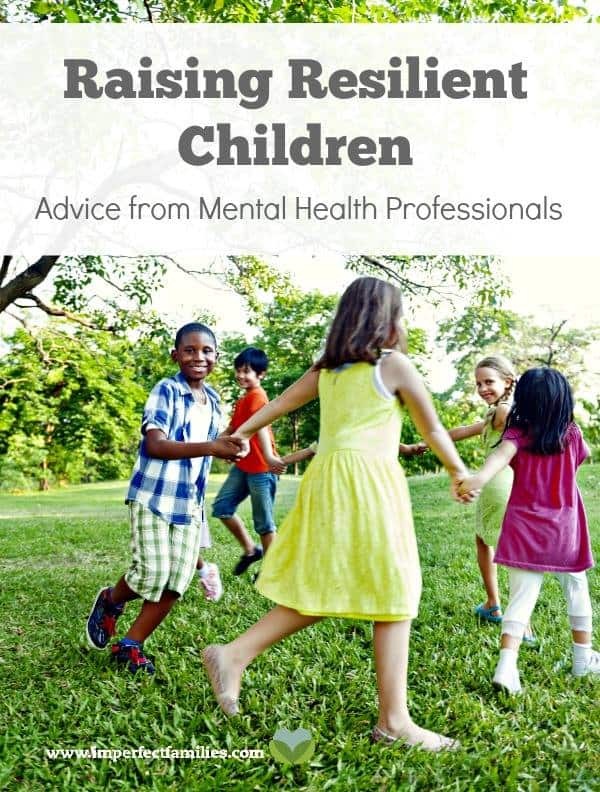 Click the image to go over to the Raising Resilient Children series and find out more about raising resilient children. 2. Yip, J. A., & Martin, R. A. (2006). Sense of humor, emotional intelligence, and social competence. Journal of Research in Personality, 40(6), 1202-1208. 3. Vernon, P. A., Villani, V. C., Schermer, J. A., Kirilovic, S., Martin, R. A., Petrides, K. V., … & Cherkas, L. F. (2009). 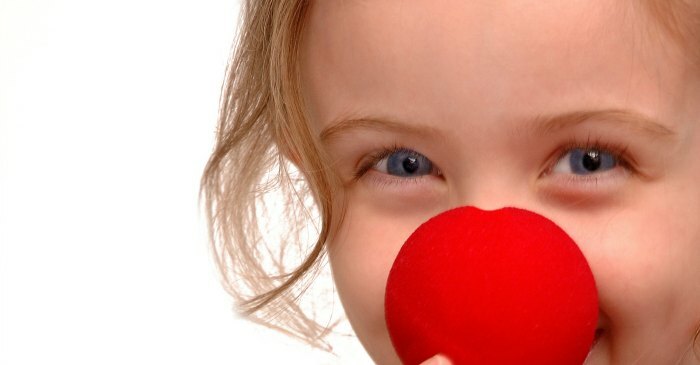 Genetic and environmental correlations between trait emotional intelligence and humor styles. Journal of Individual Differences, 30(3), 130. 4. Cann, A., & Collette, C. (2014). Sense of Humor, Stable Affect, and Psychological Well-Being. Europe’s Journal of Psychology, 10(3), 464-479. 5. Rothbart, M. K. (1973). Laughter in young children. Psychological bulletin,80(3), 247. 7. Dowling, J. S., Hockenberry, M., & Gregory, R. L. (2003). Sense of humor, childhood cancer stressors, and outcomes of psychosocial adjustment, immune function, and infection. Journal of Pediatric Oncology Nursing, 20(6), 271-292. 8. Crawford, S. A., & Caltabiano, N. J. (2011). Promoting emotional well-being through the use of humour. The Journal of Positive Psychology, 6(3), 237-252. 9. Mireault, G., Sparrow, J., Poutre, M., Perdue, B., & Macke, L. (2012). Infant humor perception from 3-to 6-months and attachment at one year. Infant Behavior and Development, 35(4), 797-802. 10. McGhee, P. E. (2002). Understanding and promoting the development of children’s humor: A guide for parents and teachers. Kendall/Hunt Pub.